"Seats were wide and comfortable"
✅ Verified Review | Flew with Azerbaijan Airlines from Moscow to Baku and continued to Tbilisi. I had high expectations based on previous reviews. They were all met and exceeded. 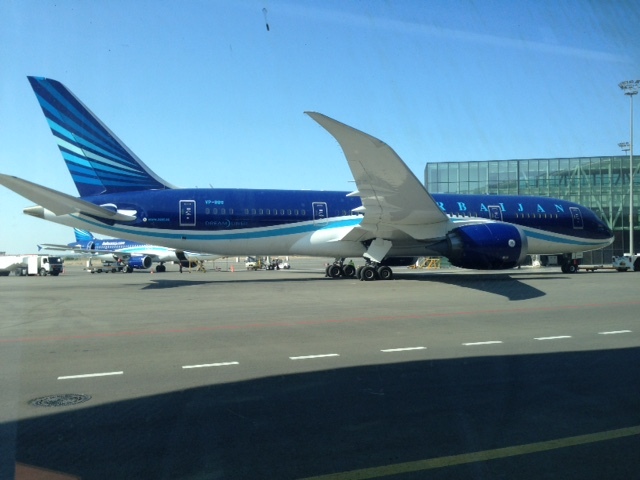 I had to call to AZAL office in Moscow to sort out a problem, which was resolved quickly and friendly by AZAL. At Moscow Vnukovo airport check-in staff gave tips how to pack luggage to minimize the excess baggage fee by using "two/three items become one"-method in packing service. Ticket desk lady of AZAL taking the excess fee was also friendly. The cabin crew was great, well groomed and cheerful. All spoke Azeri, Russian and English. 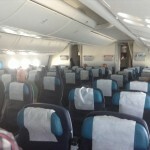 Seats in economy class were wide and comfortable, seat pitch great (I am 195 cm). Punctual departure. Inflight entertainment had common TV-screens and additional selection of music channels. Earphones were provided. I liked their service concept. Free delicious Azeri-style hot meals with spices, salad and dessert, and beverages. Cabin crew was generous, proactive and were present in the cabin. Because the flight was operated as "low-cost" brand (AZAL has not experienced real low-cost) passengers had opportunity to buy Azeri wines, spirits and snacks for low prices 1-2€. Luggage was on the belt when we came to arrival hall. Baku Heydar Aliev Airport is superb - facilities are great. I have never seen an airline having so many staff at the airport as AZAL. Again check-in lady advised how to make excess baggage fee less. Nice and cheap Azeri tea ceremony at airport café. Boarding 45 minutes before departure, aircraft again comfortable. In-flight service same - free meals and beverages. ✅ Verified Review | I have started to fly with Azerbaijan Airlines over the last 2 years from Heathrow direct to Baku. The flight is consistently good with its cabin service, food and flight entertainment and you can even upgrade to business as boarding. The plane (Dreamliner) is always in very clean condition including the toilets. The only minor drawback for me is the the flight times to Baku (night flight) and 20 hour online check in prior to flight, otherwise I can highly recommend. "food quality is very good"
✅ Verified Review | Baku to London Heathrow with Azerbaijan Airlines. Good VIP check-in service in Baku. Lounge is okay for a short stop - the decor is nice but it has little to offer over a longer period. Departure on-time - it was disappointing to have the older B767 on this flight rather than the better B787 which has flatbeds. However, the angled seat is more than adequate for an early evening flight and in any case I did not need to sleep. Good boarding service and service begins promptly after take-off. 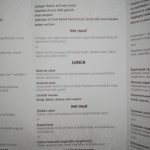 Food quality is very good and there is plenty of it - they even offer a plate of snacks before landing which I declined. Believe me you will not go hungry over the 6-hours. Staff seemed a bit inexperienced and some of the service is a little clumsy but they are friendly and enthusiastic. AVOD available and content is okay - certainly not the best I have seen but enough to keep most entertained for this short-ish flight. A few minutes late into Heathrow and a long taxi to Terminal 4 but overall a fine experience and would use again. ✅ Verified Review | I booked my flight Dubai to Baku return some days back. 8 days before the flight to Baku, someone from the call center of this company called me telling my that my flight was cancelled without explaining the reason. According to aviation rules thay have to compensate me for this. The only thing they propose is to have a full refund. So I asked for a full refund requesting an official letter / mail for this cancelation. The only thing I received was an email stating that the refund is in process and I will get my money in 33 working days. Imagine this. I did several follow up calls and e-mails with no result. This is the worst experience. ✅ Verified Review | I was travelling from Heydar Aliyev Airport to Antalya. Was a able to book very cheap ticket in March for flight in July. Allowed cabin baggage was 10 kg - great for solo travelers. Comfortable flight, good service on-board, no delays and friendly staff. Recommend and will choose next time. "crew is polite and professional"
✅ Verified Review | Baku to Istanbul. The tickets were far cheaper and flight times were more convenient (daytime, not too early in the morning). I did mobile check-in but I also used the counter for luggage check-in. On way forward I checked-in my luggage for 30USD fee (my original ticket did not have luggage included). I had an allowance of 10kg cabin luggage, so I chose not to check-in my luggage on the way back - 10kg is really plenty (especially for business trips). 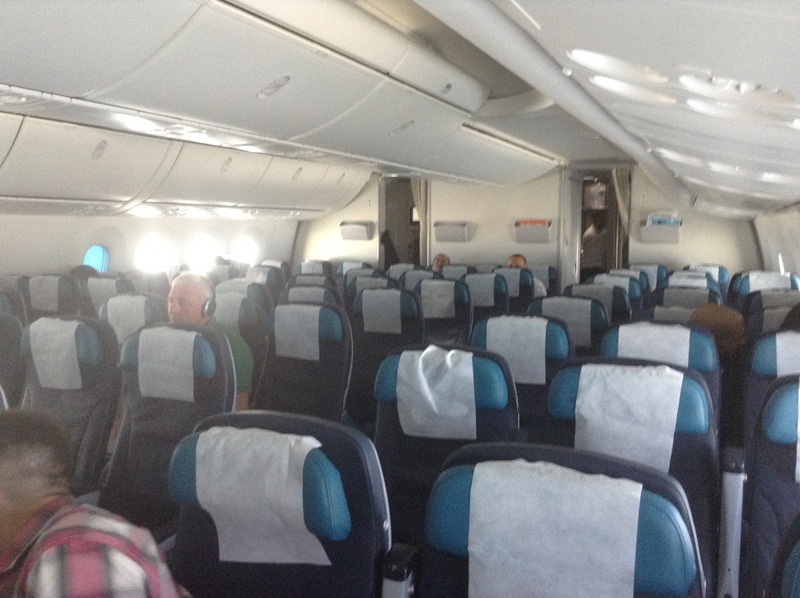 The plane was new, clean and comfortable. The crew is polite and professional. 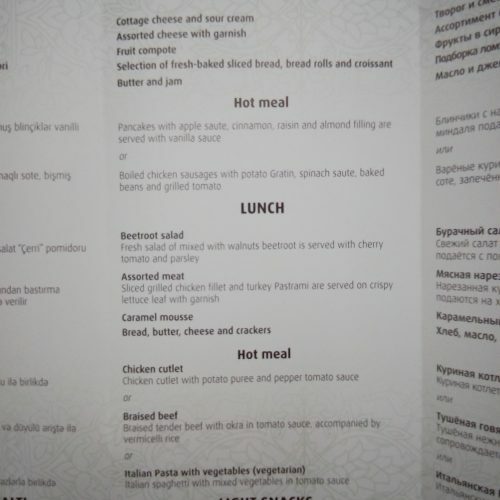 I did not expect to receive free meal, but this airline provides catering and for IST-baku leg I got a very tasty hot meal plus selection of alcoholic drinks. On the way back breakfast were provided. Coffee and tea service is also provided (only downside - there is no milk/cream for coffee). I would not hesitate to fly this airline again. "surprised how good this airline was"
✅ Verified Review | Istanbul to Baku. I decided to fly Azerbaijan Airlines instead of another airline and I was very pleasantly surprised how good this airline was. I had 10kg cabin luggage allowance which was really plenty! The plane was new and clean. I also did not expect the free meal service, but it was excellent - hot meal with alcoholic drinks. Food was really fantastic. I would not hesitate to fly this airline again. ✅ Verified Review | New York to Tel Aviv via Baku. A very pleasant experience. 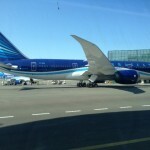 I originally selected Azerbaijan Airlines for its low price alone. I was not expecting a great experience and that was OK for the money saved. However, the flight was very pleasant overall. There were no delays, the planes were clean and well kept, the food was good and the air crews were friendly. Heydar Aliyev airport in Baku is beautiful. Clean and looks new. If you are willing to put up with a longer overall flight to Tel Aviv from NYC in exchange for a lower fare, Azerbaijan Airlines is a very good choice. The only downsides are no in-flight wifi and the entertainment selection could be more current. On the plus side, the 787 that they fly for the long haul to Baku does have individual USB ports to keep a phone charged so you could download a movie you want beforehand and watch it without your phone dying. The B757 that you transfer to to go from Baku to Tel Aviv is pretty basic but they do feed you and that leg of the trip is short. ✅ Verified Review | Tel Aviv to New York JFK via Baku return with Azerbaijan Airlines. Excellent service and also the plane. Kosher food is not special. Very comfortable seats on the Boeing 787 aircraft. Flight entertainment quite okay, flight attendants with excellent service. And wait in Baku pretty good. 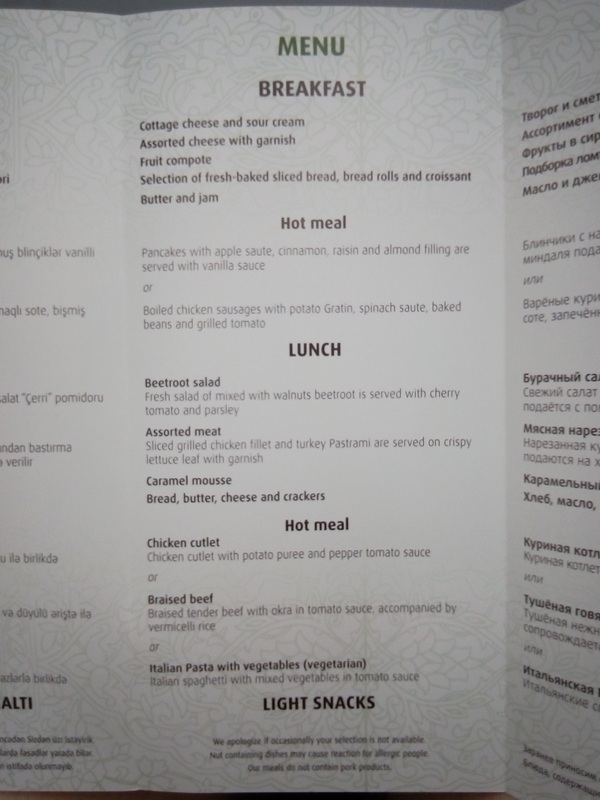 "food was tasty and pleasant"
This was my first time with Azerbaijan Airlines flying from Dubai to London Heathrow via Baku and I was pleasantly surprised. All the usual expectations of an airline on long haul, reclining seats, variety of TV channels / films (OK my wife's didn't work but she had her book anyway) etc. The food was tasty and pleasant. Staff, seemed helpful and friendly, but to date (5 weeks later) we are still no further sorting the APD refund that is due following the UK Chancellor's decision to scrap APDs for U16s (my son) and stating refunds from airlines would be refunded. Well Azerbaijan Airlines to date don't seem to want to know.